It's time. The finale episode of The Fosters is here, so let's dig into the episode. I think I'll start with Brandon here since the wedding is a main part of this finale episode. Brandon: It was actually Emma who knocked on Brandon's door at the end of the last episode, and she was of course looking for Jesus. Brandon is having doubts if he should marry Eliza or not but after having a conversation with both Callie and then his dad (which by the way was a really nice and wonderful scene) he decides that he is all in and he signs the prenup and shows that to Eliza's parents. He tells her parents that he loves their daughter and then Eliza actually stands up to her parents and tells them that Stef and Lena will be marrying them at the beach, and she also ripped the prenup and says that she trusts Brandon and they don't need a prenup. I was actually okay with this wedding happening because I feel like Brandon has been through so much last season with losing Grace and he actually looked really happy with Eliza so I'm all for him being happy. Stef and Lena: The mums are having a great time in Turks & Caicos with a beach adventure that ended with me laughing so much as they were trying to navigate the situation. Stef and Lena also gets to marry Brandon and Eliza by the beach where they deliver a speech that was so beautiful and there we also got some flashbacks to the earlier seasons which made me tear up. We also find out that Corey decides to go with his birth mum because she is doing better which is something that Lena and Stef understands and their last scenes with Corey made me cry so much. We do find out that they still talk to him everyday and see him often. Stef and Lena also decides to sell their home and move since the kids and Stef all want Lena to run for state assembly. I loved they way they gave the mums some closure on this show and their last scene in the garden by Frankies tree also made me tear up. Jude: We've seen Jude struggling since the three part finale started and in this episode we get him to open up and actually talk about it with his mums and Callie. One scene with Callie and Jude before he talks to his mums was him saying that Carter does not have anymore in his family to talk to, where Callie says but you do, and you're talking but you're not saying anything. That scene really got to me, because Callie was right, it is a difference between just talking and then actually saying anything. At the end of the episode, Jude explains to his mums and Callie that he has been struggling with school and being away from everyone. That he just went to a big school because that was what everybody else was doing and that he believed that he needed to make it on his own, but that he really missed everybody being home together. That was something that really made me see the young Jude that we saw in the first couple of episodes of this show and it was very emotional to witness that scene. It was nice though, to see Callie and their mums be there for him. It just shows how this show is all about family. Jesus: As I mentioned, Emma comes to the wedding and she wants Jesus back. After the wedding, Jesus tells Emma about his one-night stand with Eliza's bridesmaid. Emma and Jesus then have a real heart to heart which I think was actually so good for them, it was heartbreaking to watch but I do see where Emma is coming from. She tells Jesus that they need to figure out who they are as people without each other, and if they are truly meant to be, they'll find their way back to each other. This is something that probably needed to happen since they had been together since they were 15 and 16, but it was still heartbreaking to see, and Jesus was still very upset when they got home from Turks & Caicos, but that's when Mariana suggets to him that they should go to Europe together. Mariana: Mariana decides during the wedding reception that she wants to give Mat and her another try, but as she's going to find him, she find him making out with one of Eliza's bridesmaids. I actually liked her and Mat together before but I do think this was the best thing that could've happened to her because now she gets to be single and actually find out who she is and be on her own for once. I'm excited to see where the spin-off will take her and I also especially loved the last scene with her and Jesus. Where she tells him that they should go to Europe and that he is her best friend. I've missed those scenes with the twins, because I feel like lately it's just been fighting and bickering between them, so it was nice to actually see then have a scene like that one. Callie: Callie has a few heart to hearts with Brandon in this episode, she tells him that she sees that he loves Eliza and at the end of the episode Callie and Brandon both talk about how they made the right decision by not being together. They chose the family first and they both know that they made the right decision because now they get to be best friends and be in each other lives forever. Callie also gets both of her clerkships and you think that she'll go with the more openminded judge but she actually ends up taking the clerkship with the more conservative judge in LA for many reasons, but the main one being that is is closer to Jude. She also shares a kiss with Jamie after he suggets that she should go for the clerkship in LA because then she'll get to make an impact on a somewhat conservative judge, and he also says that he will be in LA and she'll have friend in him there. I actually really liked this pairing, I wouldn't mind if they got together but I wouldn't mind them just staying friends either but I really liked the dynamic these characters shared so I'm hoping we get to see some of Jamie in the spin-off. Favourite character: Honestly, since this was the last episode ever of The Fosters, I can't even chose a favourite because I honestly loved every single character this episode and their journey. I loved how it all came together, and I honestly did think that every character ended up in a fitting way, and this made me so much more excited for the spin-off because basically almost all the Adams-Foster kids will be in LA so we'll hopefully see more of all of them. I do have to say that I think they did a beautiful job of giving the mums closure and they really have been the backbone of this entire show. Best/Favourite scene: There were so many to chose from in this episode, but I do think that the dinner scene at the end of the episode where they all convince Lena to sell the house and run for state assembly. I also loved all the flashbacks that we got to see of Brandon and Callie, Lena and Stef as well as the rest of the family. I just thought that was such a sweet homage to the beginning of this show and why we all fell in love with these characters. I also loved the very last scene where the Adams-Foster family took one last picture outside of their home before they all moved on. Mariana to Jesus: "You're my best friend, but don't tell Callie"
Final thoughts: I just want to say thank you to this show, I've loved it so much and I think it has been such an important piece of television for the past couple of years. The Fosters have dealt with issues that are so current and important, especially in this time that we live in and I'm so happy that they have done it with poise and grace. I also want to say thank you to everyone who has read these reviews and loved the show. I'm hoping to see you here again when the spin-off Good Trouble starts because I'll be back reviewing that show when it airs. What did you think about the series finale of The Fosters? 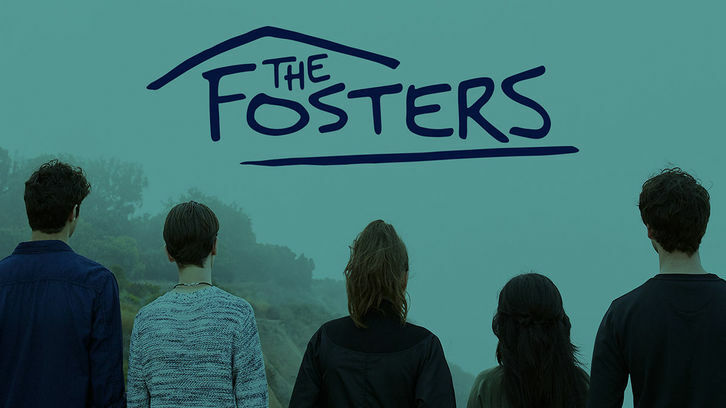 Please, let me know your thoughts in the comments below and I'd love to hear your favourite The Fosters moments overall from the past five seasons.